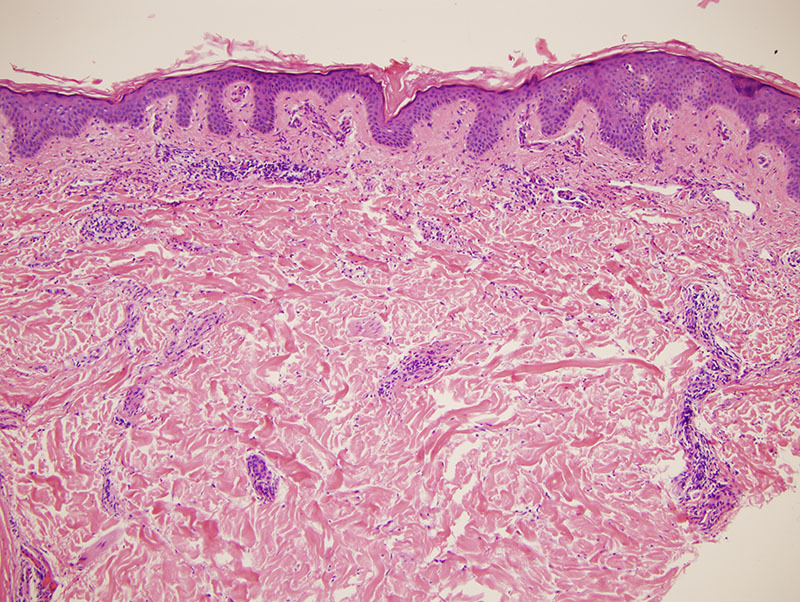 The findings are those of a neutrophilic urticarial dermatosis. There are insufficient findings to warrant categorization as an urticarial vasculitis. 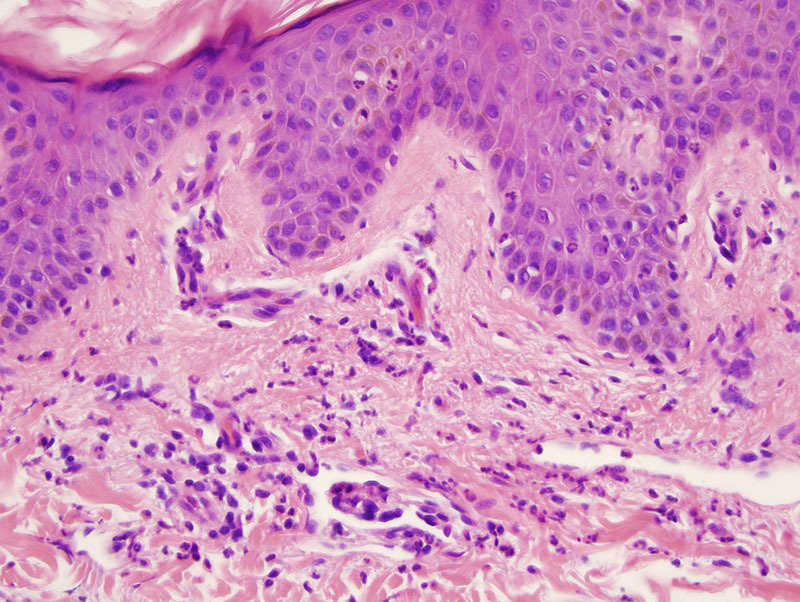 As well, neutrophils are found within the epidermis. Given the evanescent nature of the eruption and the fact that the patient has scleritis, an autoinflammatory condition reflective of dysregulated proinflammatory pathways such as the interleukin 1 pathway is very possible. 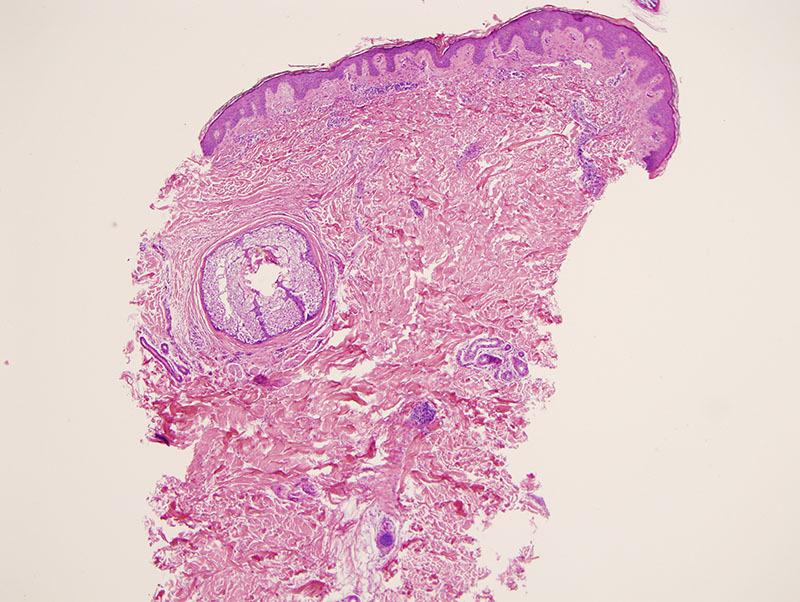 Among potential autoinflammatory conditions that could manifest with this particular histology are cryopyrin associated periodic syndrome including cold urticaria, Schnitzler's syndrome as well as in Adult Still's disease. Based on the lack of complement deposition in biopsy and negative MXA staining results an autoinflammatory syndrome is favored over one of autoimmune disease.